Dogs bark as a means of normal communication. They may bark when calling out to other dogs or respond to other barking dogs or when communicating with its human owners. However, when dogs bark excessively they become a nuisance to their owners and the neighbourhood. Before you can successfully manage a barking problem you will need to determine the cause of the barking. Your neighbours may be able to tell you how often your dog barks in your absence. 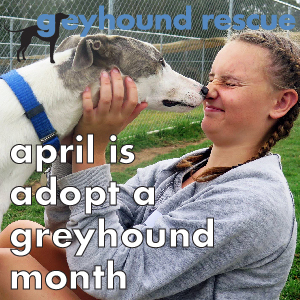 If you don’t have time for a dog, don’t get a dog. They are social animals and need to live with their families. Dogs who are left alone all day with nothing to do often resort to barking out of boredom. Boredom barkers will bark continuously and may also exercise their frustration on your flower beds. To tackle boredom barking you should start by ensuring that your dog is receiving enough exercise. If you take your dog for a good walk in the morning they will be more likely to rest until you come home. You should also make sure that your house and garden are sufficiently enriched with fun toys and puzzles to keep them entertained when you are not home. Try putting some of your dog’s daily food allowance into a toy or treat ball so they have to work to retrieve their snacks. If you're unsure what to get, we have a few suggestions for you in our "Tough Toys - Safe for Home Alone" post. Keep their toys in a toy box and alternate the toys they have access to each day. Hide their toys and some treats around the garden to encourage them to forage or if they like to dig provide a sand pit to divert their instincts away from your garden. Does your dog have any playmates in the neighbourhood? You might alleviate boredom by inviting them over for the day. You may also consider organising a 'dog walker' to walk your dog in the middle of the day while you are at work or a 'dog minder' to keep your dog company when you are away for long periods. You may also consider utilising your local 'doggy day care' services. Dogs are social animals and it is normal for them to become anxious when they are left alone for the first time. Take care to teach your dog how to cope with being left alone at a young age. Begin by sending your dog outside for short periods of time while you are still at home. Make sure they have a toy to play with or raw bone to chew on while they are outside so the experience is a positive one. Gradually extend the length of time you are leaving your dog alone. When you do leave the house, make sure that they have somewhere safe to retreat to such as a kennel. Make sure that they receive plenty of exercise and that they have a supply of toys and treats to keep them entertained while you are away. 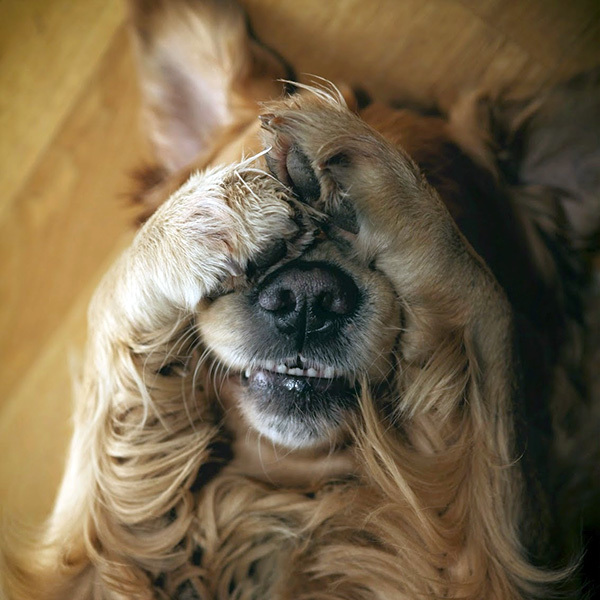 Do not fuss over your dog when you come home – make sure both your departure and return are low-key and unexcited. Most dogs will adjust to periods of time alone, however some become severely stressed and may begin to bark incessantly and even self-mutilate or injure themselves. If your dog suffers from separation anxiety you will need to manage the condition in consultation with a dog trainer/behaviourist. Dogs can also bark due to fear. They may be afraid of people coming near their territory or fearful of noises. particularly at night which may stimulate anxieties. Dogs can also be fearful of fireworks, thunderstorms and lawnmowers etc. To find out about what you can do to assist a dog suffering from noise phobia, please read our post on Dealing with Thunderstorm Phobia. It is natural for your dog to want to warn you about potential intruders. 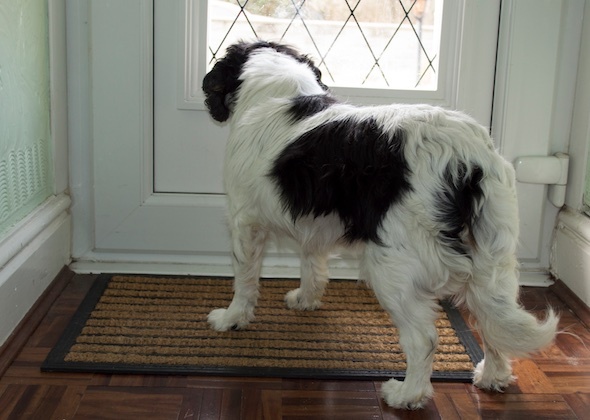 Your dog may not be able to distinguish between welcome visitors, people strolling past your home and intruders. Try and use predictable passers-by such as the postman to change your dog’s association from territory protection to a positive experience. Try and pre-empt the postman’s arrival and offer your dog a delicious treat or favourite toy. Only reward your dog when he/she is calm and not barking. With time your dog may begin to associate a person passing the house with something good rather than someone to protect you from. If your dog barks at your neighbours when they are in their garden it is probably also because he is protecting your territory. Again, make sure you have some tasty treats at hand so that your dog associates your neighbours with the food (only give the treat when your dog is calm and not barking). You may also consider asking your friendly neighbours to treat your dog and supply them with their own stockpile – this is preferable to having them yell at your dog in frustration - yelling at a barking dog will only tend to reinforce the barking and protective behaviour. Barking is also reinforced when owners yell or scold their own barking dog - this is called negative reinforcement and should be avoided. Successfully treating excessive barking relies on positive reinforcement - that is, reward good behaviour and avoid reinforcing 'unwanted' behaviour. If your dog is barking at the dog next door arrange a meeting time and supervise play between the two. Fun play time should quell fear-related territorial behaviour and alleviate boredom. Do not ignore or scold territorial barking as your dog will become confused and anxious if his attempts to protect you are negatively received. You might also find that one day your dog alerts you to a real threat! Dogs can bark when trying to call out to their human owner or when bored through being left alone for long periods of time or having nothing to do while its humans are at work/away from the home. You can modify attention-seeking barking by ignoring the unwanted behaviour and rewarding good behaviour. 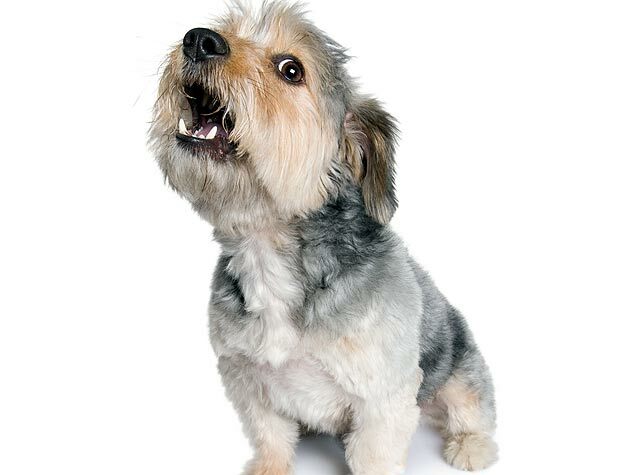 When your dog barks for attention he must be completely ignored – avoid eye contact, even leave the room. Praise and pat your dog when he is calm and quiet so he realises that this is the behaviour required to secure your attention. You can also give your dog a food treat when he/she is calm and not barking. This rewards good behaviour and does not reinforce 'unwanted' behaviour. 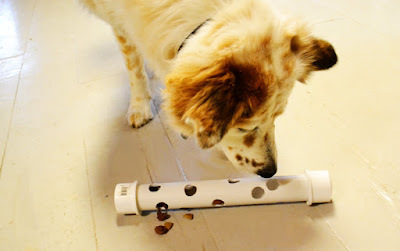 Any noise, no matter how slight can stimulate a barking response for e.g. rustling leaves, a banging window or a knock at the frontdoor/doorbell. The basis of each of these barking problems is quite different. Likewise, approaches to treating each of them need to be different. 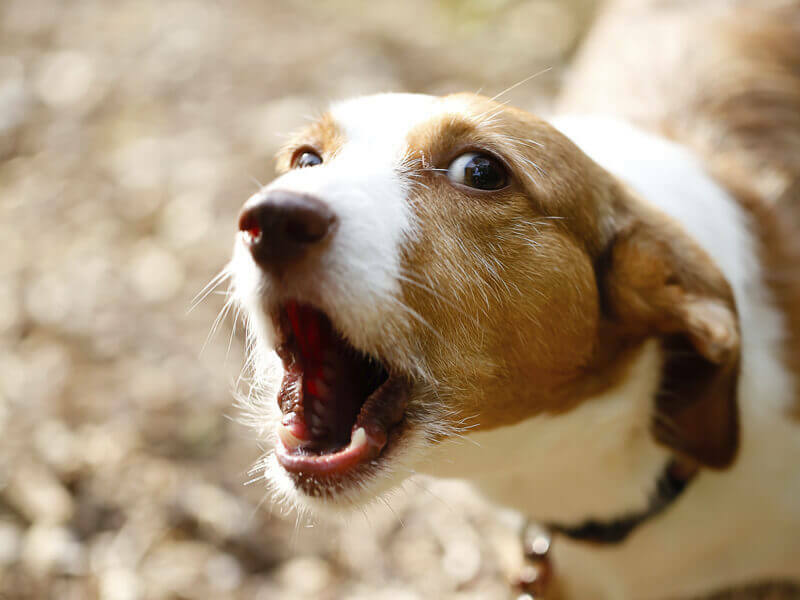 Take the time to characterise your dog’s barking habits – does he bark at people passing by? 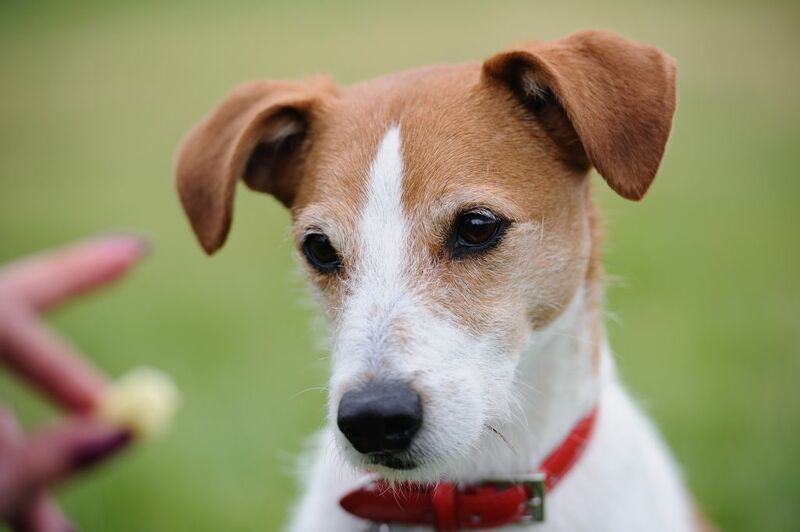 Ask your neighbours whether he barks while you are away from home – does he bark all day or only some of the time? If necessary, manage the problem with help from a behavioural specialist. It is also a good idea to take your dog to the vet for a full health check to make sure there are no medical reasons for his behaviour. Never try and modify your dog’s behaviour by punishing him. Anti-barking collars constitute a form of punishment and are an unreliable remedy – they do not address the cause of the problem and are easy to abuse. Your dog will be punished for every bark, some of which will be appropriate, and he will not learn an alternative, acceptable behaviour. RSPCA Australia does not recommend the use of these collars.